The year 2018 had a good start at Rizk and the casino is having their January Sale - Everything Must Go promotion. In this promotion you can find a special game category on the website, called January Sales. When you play the slot games in this category you will collect double points, which means that you will level up faster. Each time you level up you get a spin at the Wheel of Rizk and for every 10th level you'll get a spin at the Super Wheel of Rizk with double prizes. There are many rewards waiting for you at the Wheel: cash, free spins, super free spins, a jackpot, race points, etc... by the way, winnings from free spins are wager free at Rizk and credited as real cash! Grab Your January Deal at Rizk Casino Now! 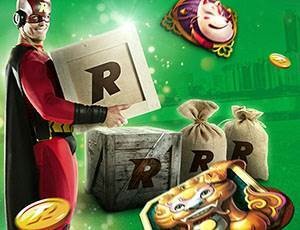 What does Rizk Casino offer? If you haven't played at Rizk yet, now is the time! The casino welcomes new players with a generous welcome offer - currently 100% up to €/$ 100 + 50 free spins + a spin at the Wheel of Rizk. Aside from that, there are regular promotions, a huge game selection that includes the best slots currently available, very fair wagering terms for bonuses and super fast payments. More details can be found in our Rizk Casino review.